Karlyn Williams is the funny and sassy social media marketing genius behind both Oh Snap! Social and Ultimate Crown. She’s also one half of the Facebook Show Take 10 with Heather and Karlyn. 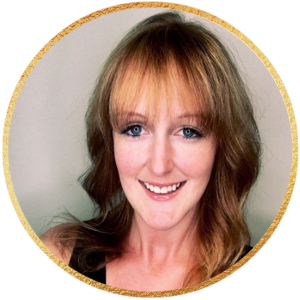 Karlyn’s been a Femworking member since March 2016 and we’ve loved getting to know her. When Karlyn first joined us, she was working a full-time job while building her first business, Oh Snap! Social. Karlyn joined Femworking after hearing about it from a friend and because she was looking for a group of women business owners who were where she wanted to be. She wanted to find a group of women who focused on lifting each other up rather than tearing each other down. After working the side hustle for 5 years, Karlyn felt like she was tired of building someone else’s business. She was approaching her 30th birthday and wanted to build some security in her business before getting married and building a family. When it came to going out on her own, she felt like it was now or never. So in July of 2018, she decided to go for it and quit her full-time job. She says that Femworking helped her feel like she could go for it. Her video game is strong and she recently shared the most amazingly vulnerable video in our private members-only group. It gives such great insight into who she is, the entrepreneurial journey we’re all on, and what makes Femworking such a supportive place. She gives a shout out to the women in her FemCircle Mastermind. She thanks them for giving her the space to be vulnerable about her rough week. And over the course of the video she shares how getting zero signups for her in-person workshop was causing her to feel like she was losing her sanity. She was putting tons of pressure on herself, stressing out, and feeling all kinds of resistance. And although the focus of our masterminds is our businesses, how to grow them, and accountability, we’re also here for moments like these. For the struggle. The real moments when you just need a tribe and amazing support to help you get to the other side. So in true Karlyn Williams fashion, she grabs the bull by the horns and shares an ideal day exercise we can all use to center and take care of ourselves. Thank you so much for sharing this with us, Karlyn, and for being so vulnerable about what entrepreneurship is really like. The truth is that entrepreneurship can be really stressful. It can be lonely and isolating. The stress and pressure (whether real or self-induced) can be taxing to our mental health. What’s important is to have a community you can go to to support you on this journey. Femworking is that safe, non-judgmental place where you can come, be vulnerable, and know that you’re going to be surrounded by wise, caring women who want nothing but to lift you up and help you succeed. If you’d like to see what it’s like to mastermind with us we’d LOVE to meet you on a live call! You can bring a real problem and mastermind with real women!